Dr Kananelo E. Mosito KC is the Dean of the Faculty of Law of the National University of Lesotho (NUL). He is a Senior Lecturer in Law. He is also member of the NUL Council and Senate as well as various administrative bodies within the University. He teaches various courses within the Faculty. He presently teaches Labour Law, Law of Business Associations and Practical Legal Training. He co-teaches Accounting for Lawyers. He is also committed to a line of research and litigation. 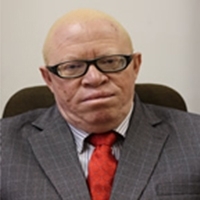 Dr K. E. Mosito KC is a King‚s Counsel and a judge of the Superior Courts of Lesotho. Dr K.E. Mosito KC has published widely in various fields of Law such as Family Law, Labour Law, Social Security Law etc (See CV attached).